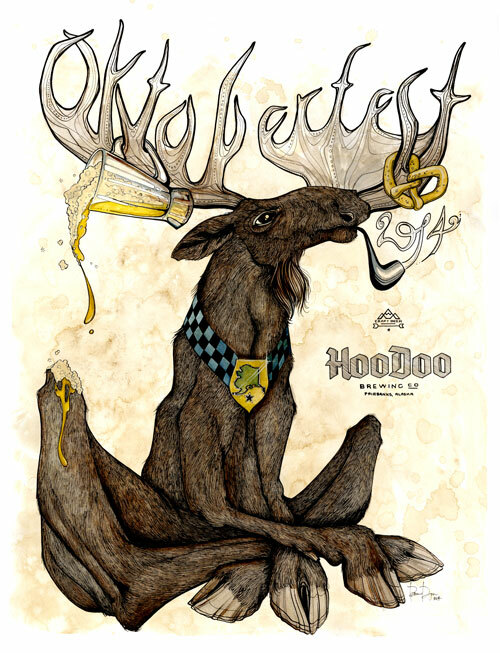 You are here: Home / Events / Celebrate Oktoberfest with HooDoo! Oktoberfest! Munich’s 16-day festival celebrating all things beer. 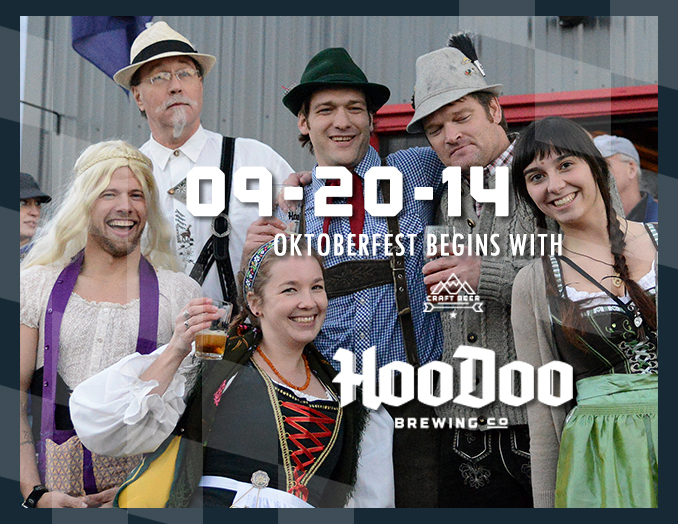 Grab your Bavarian garb, crazy hats, pretzel necklaces and brush up on your Ein Prosit – ’cause we’re celebrating at HooDoo. 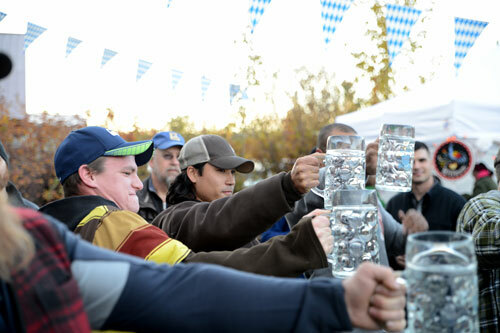 For the 2nd year in a row, we’re kicking off Oktoberfest just like the German’s do, at noon on Saturday Sept 20, when we’ll tap our German-style Oktoberfest Lager at noon with Mayor Hopkins. We’ll also have Oktoberfest in the cask this year. Commemorative beer steins will be available. 2014 poster and t-shirt art by Brianna Reagan. Alaskana Kitchen (German-themed menu) Sept. 27 – Oct 4 — a delicious, local PIG will be ROASTED on Saturday Oct 4. to close out our Oktoberfest. PROST! 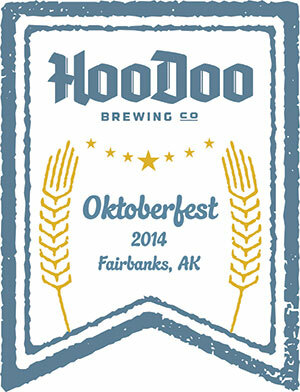 We hope to see YOU for Oktoberfest in Fairbanks, Alaska!